A new lip balm brand jointly produced by Maxam and White Rabbit was sold out within 2 minutes after officially going on sale online at 10 am on September 20, 2018, reports Chinanews.com on Thursday. The customer service on Maxam's Tmall online store said that for the time being the lip balm is off shelf since being sold out within two minutes. It's unclear whether there will be a future sale date for the product after it was snatched off the shelf so quickly. Two lip balms sold for 78 yuan (about USD 11.4). 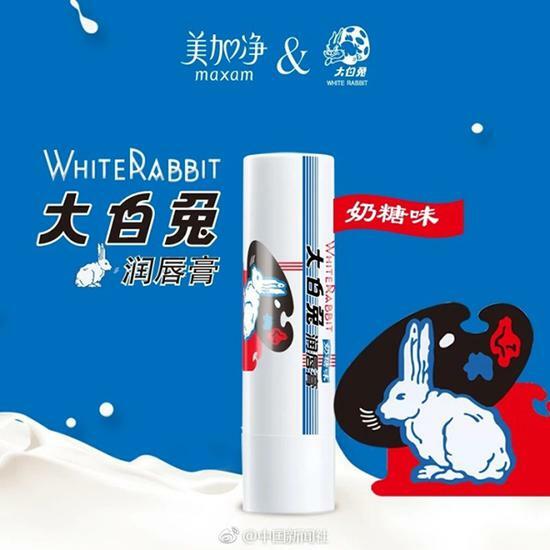 Maxam is the brand of Shanghai Jahwa Corporation, and this is the first time that the cosmetics company co-produces a brand with a food company, the White Rabbit, which is also a famous brand in Shanghai.